Valentin Baca Baños is a native Quechua speaker who was born on a farm in the Sacred Valley and grew up with 7 brothers and sisters. His mom Andrea never attended school but worked very hard tending her farm and selling and bartering corn, guinea pigs, peaches and eggs in order to support her family. She strongly believed in the importance of educating her children however it was very expensive to buy uniforms and school supplies. Luckily, she had inherited 2 bulls from her mom and every year she would sell one of her bulls to raise money for Valentin and his siblings to go to school. She would then trade the other bull in for 2 young bulls, who would grow during the course of the year and be ready to sell when school started the next year--this process was repeated every year until all of the children finished school. Valentin is forever grateful for the hard work of his mom and because of his childhood, is strongly committed to supporting children and families in the mountain villages of the Sacred Valley through social projects and by working with locally owned farms and businesses. Valentin started working as a porter on the Inca Trail at age 16. He then worked as a chef on the trail while at the same time attending the University of San Antonio in Cusco, studying for a four year degree program to become a certified guide, completing course work in tourism, history, archaeology, flora, fauna, medicine, psychology and English. Valentin has been working as a guide for the past 9 years and has led over 500 trips to Machu Picchu. He has a passion for sharing the culture, history and beauty of Machu Picchu and the Sacred Valley in an energetic, friendly, fun and spiritual manner. He is the owner of the company and takes special care to make sure every customer has an amazing experience in Peru. He speaks fluent Quechua, Spanish and English. Delivering shoes, supplies and balls to a school near Maras. Hernan was born to an agricultural family near Urubamba and raised in the Sacred Valley and is a native Quechua speaker. 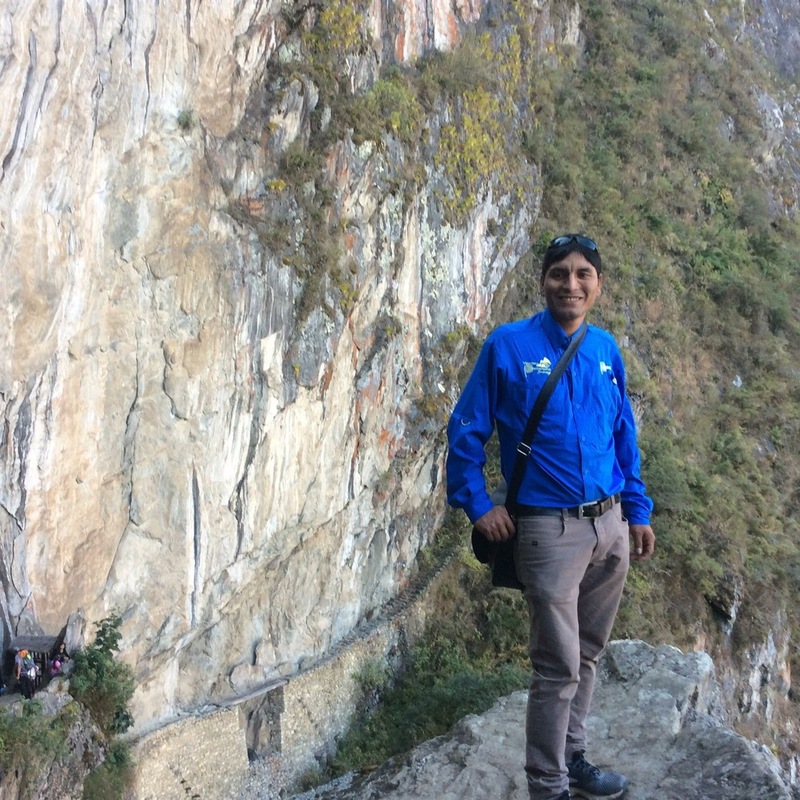 He completed a 5 year course in tourism at the University of San Antonio in Cusco and has been working as a tour guide for the past 11 years. You won't forget your day with Hernan; he is humble, smart, enthusiastic and fun. He loves to share the local culture and Inca history with his groups.